Here's a model B+ sitting in my hand. 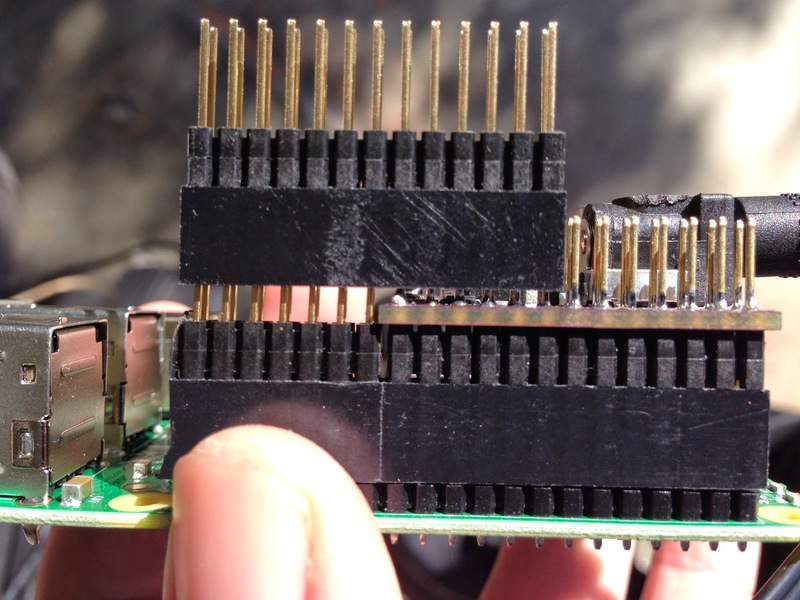 In this picture, I've installed a 14 pin stacking header on the remainder of the GPIO header. A side view of the above. There is a slight gap between row 13 and 14, but it's not so wide that a connector won't fit. And to prove that, here's a 26 pin header plugged in across the gap. A variable bench switching supply? Pi Power is a go!